Assists scientists at all levels and from all disciplines to visualise and track the movement the cells. Burnet’s Cell Imaging Facility (CIF) provides guidance on the use of the facility especially in the areas of project design, training and support in image acquisition and analysis. 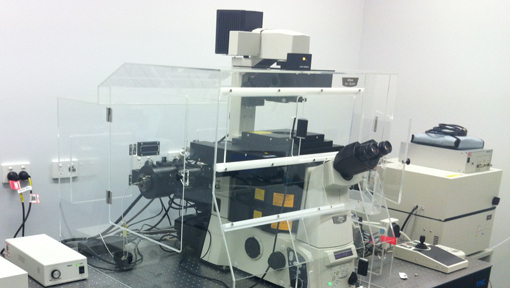 As part of the Monash Micro Imaging (MMI) network, the CIF gains access to extensive expertise and imaging platforms located on Monash University Clayton campus and the Monash Health and Research Precinct. CIF services are available to all researchers at the Alfred Medical Research and Education Precinct (AMREP) as well as external users. Scientific staff from Melbourne’s leading research centres use CIF services to acquire images on a diverse range of diseases including malaria, HIV and AIDS, influenza, hepatitis C, heart disease, diabetes and cancer. 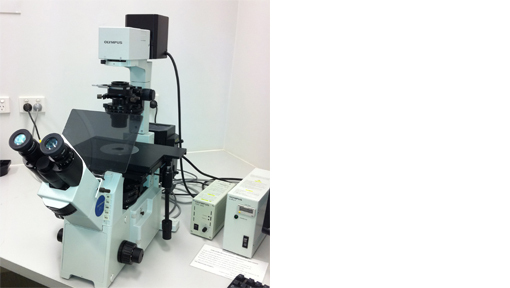 This state-of-the-art fluorescence microscope combines the N-SIM and N-STORM technologies to achieve the best possible resolution. Located in the BSL2 Containment Laboratory. 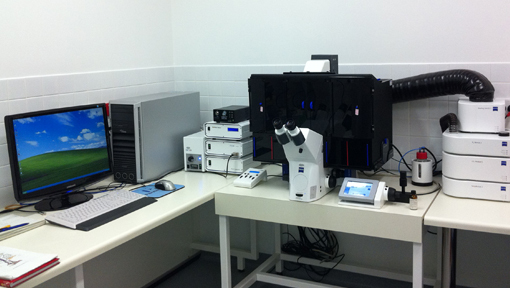 This is the only microscope in Australia that can be used to image live cells infected with highly infectious human pathogens such as the human immunodeficiency virus (HIV). Every researcher is given a tutorial before being permitted to use a microscope. Please contact us prior to the start of an imaging project (appointments are essential). The BCIF should be informed of any publication and/or presentation referring to the BCIF.